Mark's Independent Service is a local, family-run auto repair shop in Chatsworth, CA that has been dedicated to providing reliable automotive services and complete customer care since 1988! Mark Goldsmith started the company and continues to own and work in the shop today. 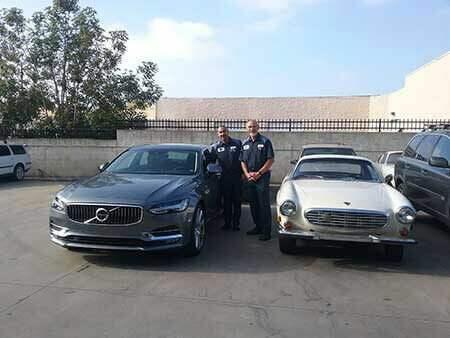 We are proud to specialize and work exclusively on Volvo, Lexus and Toyota vehicles. Ever since we first opened, we have been focused on fair values that put the customer first! In doing so, we have created the type of auto repair company that you can trust, and are happy to be your friendly, more personal Volvo, Lexus and Toyota dealership alternative! We love when our customers tell us we are more convenient and affordable than the local dealers, because we want your auto repair experience to be quick and easy, not stressful! Specializing in only a few vehicle brands makes us your best choice for all of your Volvo, Lexus and Toyota service and repairs. It allows us to focus our energies on a few makes, rather than spreading them thinly over many car brands as other general auto repair shops have to. For example, we make arrangements with the best Volvo, Lexus and Toyota parts vendors to ensure proper vehicle repair – the first time! In addition, our car repair services are guaranteed by a 2 year/24,000 mile warranty. Our auto repair shop in Chatsworth, CA has four service bays to service your car quickly. We always try to get your car back the same day - this is a big priority for us because we know it is never convenient to have your car stuck in the shop! At the same time, we are happy to take the time to answer all of your auto repair questions and explain the services we are providing. We have free Wi-Fi Internet in our waiting area, and a free local shuttle service to take you where you need to go. We truly are your allies in the auto repair world, and want to keep your Volvo, Lexus or Toyota running smoothly for many years to come! 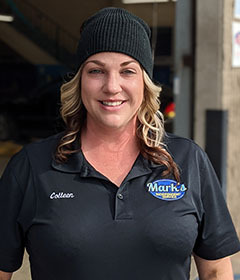 What we can’t stress enough is that everyone here at Mark’s Independent Service really cares about your well being and keeping you safe on the road. Our friendly team members take the time to get to know you and your vehicle, and take care of you as if you were family. We’re truly here for you! Wonderful customer service representative and company bookkeeper. 5+ years experience of ascertaining performance problems and vehicle services.